This post is definitely long overdue! 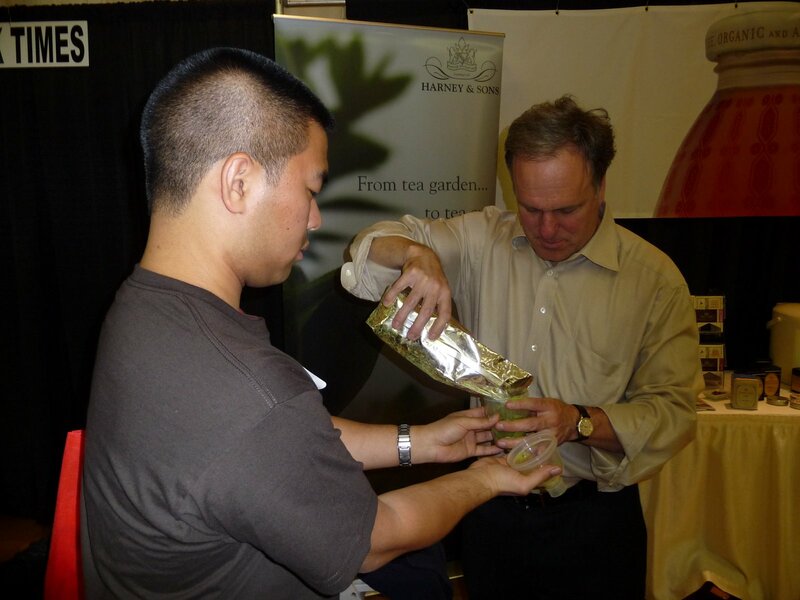 While at the 2009 Coffee and Tea Festival NYC in April, my friend, boyfriend and I happened to meet Michael Harney, Jennifer and Jess from Harney & Sons Fine Teas. We were all volunteering, as we’re all tea fanatics. 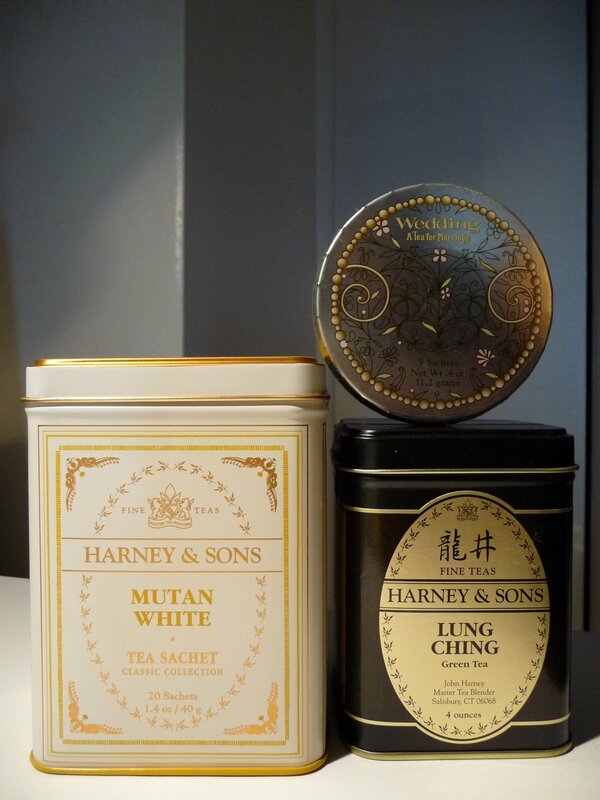 We had no idea that Harney & Sons would be at the festival though, and coincidentally they are both Joanne’s favorite tea and mine, too! How so, you ask? Joanne actually included Chinese Flower and Wedding teas in her wedding favors! 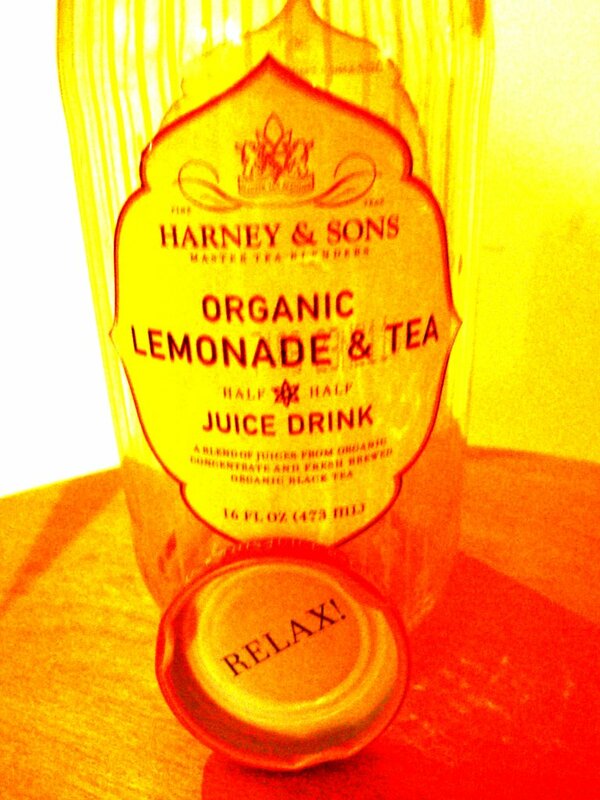 And as for me, I drink Harney & Sons Tea every day at work to start the day off right! My desk collection is pictured below. 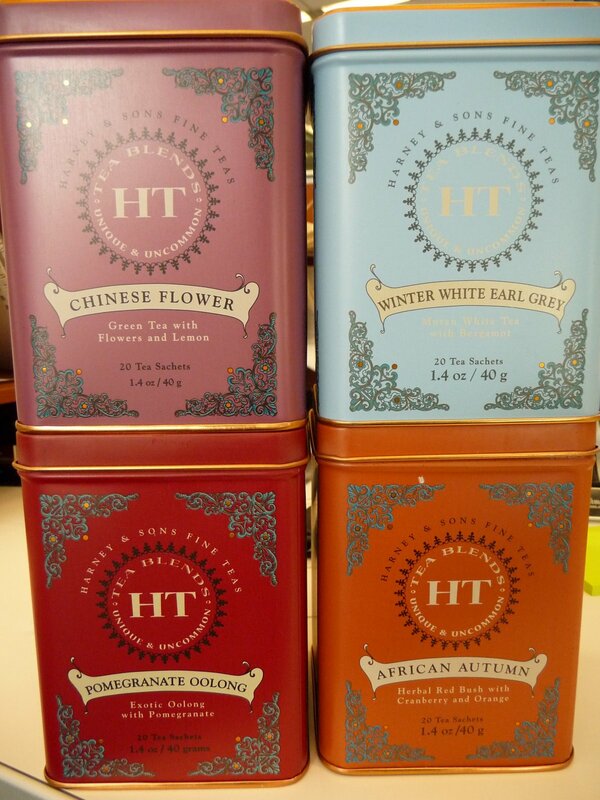 Above: My Harney & Sons tea collection at work includes Chinese Flower, Winter White Earl Grey, Pomegranate Oolong and African Autumn. I can’t start my day without a cup of fresh tea! Above: While at the Coffee and Tea Festival, Michael Harney gave us full tins of Wedding, Mutan White and Lung Ching teas! So generous! I was so happy to extend my collection! 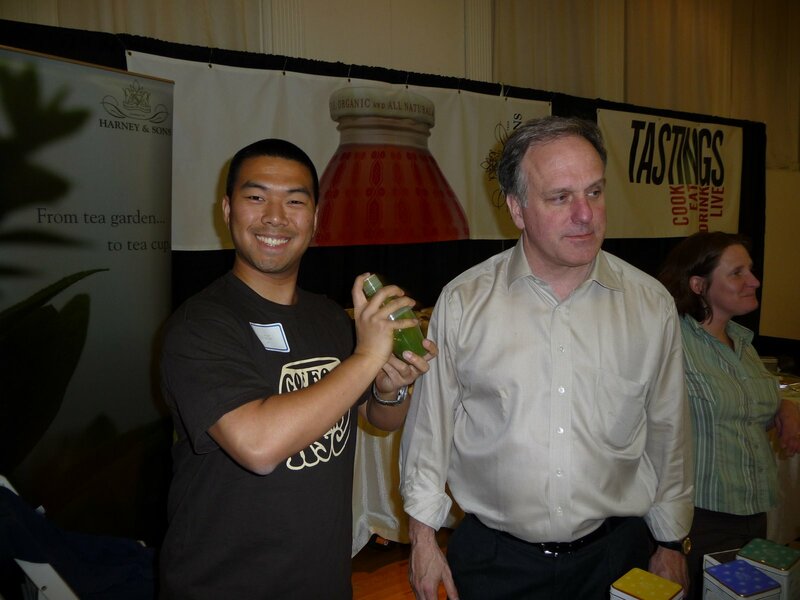 Above: Michael Harney showed Weikai how to mix the new Matcha tea! We were among the first to try the first shipment! That’s Jen in the background. She’s in charge of Harney & Sons multimedia and marketing, including the website, blog, catalog, Facebook page, and Twitter page, which are all very impressive and full of information! 1.) Their teas are tasty. 2.) They think global and act local. It’s a local company with global tea sources, for the best quality teas but from a friendly, local manufacturer. 3.) They have a family feel to them. 4.) They have an unmatched variety of teas from locations all over the world. 5.) Their packaging can be reused for storing almost anything! I love those tins! If you haven’t tried their teas yet, check them out! They’re from Millerton, New York, so you can also check out their Tasting Room if you’re in the area! ← Don’t Be a Victim of Flat Hair! … Or Attrociously Large Hair!